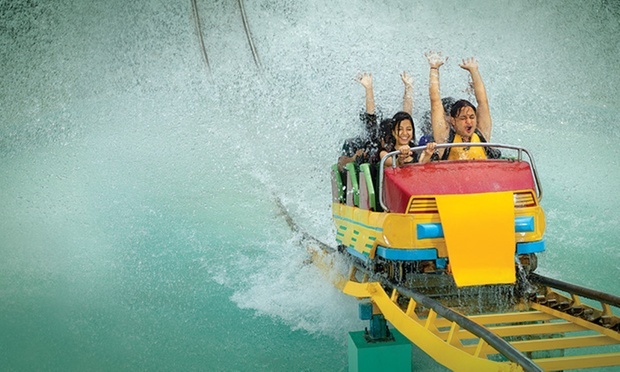 Deal – Get upto 10% Discount per ticket at GRS Fantasy Water Park Mysore – offers/deals on Entry Ticket /Pass. You can use those cashback to buy other deal on Nearbuy website. If you want to buy GRS Fantasy Water Park Voucher of more than Rs.10000, then request you to use coupon code – BULK, this will give you 10% instant discount (minimum Rs.1000) with no maximum discount limit while cashback is limited to Rs.200 only. *Rides under Maintenance might not be available on certain days. GRS Fantasy Park, located at Metagalli, Mysore is an amusement park with water and dry ride. It is Mysore’s No.1 aqua park, spread across 30 acres of lush greenery. All the rides are under safety control and the staff is very friendly. It is the best place to enjoy with your loved ones. Is this offer still valid ? No this coupon code is not valid and we are removing this. Does this deal GRS fantasy park includes games and lunch for 699rs as mentioned. Please confirm as soon as possible. Sorry Soumya, this deal is currently working only for children..